A bridging loan – a phrase more associated with moving house – proved the ideal solution when Selwood was contacted by Wessex Water, faced with a problematical bridge too far. Wessex Water had an unusual request for a temporary overpumping requirement whilst the access bridge spanning the River Avon to Pewsey Sewage Treatment Works was strengthened. The crucial work meant that there could be no vehicular access to the sewage treatment works, normally visited several times a day and night by large articulated sludge tankers. Selwood needed to find a robust, safe and straightforward way for tankers to fill up with sludge over a 200 metre distance, which included crossing the bridge. With the River Avon running below, the drivers would be some distance from the pumps, leading to concerns about potential harm to the local environment. 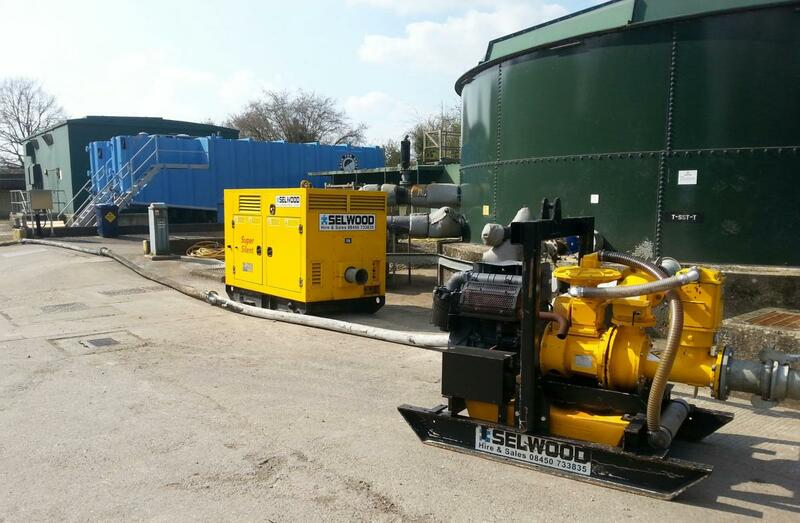 When Wessex Water voiced an ‘if only’ wish to temporarily store the sludge on site, Selwood was able to make it come true. A new partnership with Rain for Rent, which has locations throughout the USA, Canada and a UK base in Leeds, meant Selwood could acquire a newly-designed trailer-mounted 70,000 litre tank – ideal for sludge storage and available from a business which prides itself on ‘liquid ingenuity’. After checking that the weak bridge could take delivery lorry’s weight, the pumps, pipes and fittings were delivered, plus a standby pump in case of any type of failure. In fewer than 30 minutes, the units were in position, much to the surprise and delight of Wessex Water. Selwood’s expertise, vast on-site experience, exemplary service and range of innovative products, meant this offered the advantage of placement without the need for a crane, additionally saving time, space and money. The pumps and tanks did their respective jobs faultlessly for just over a fortnight. For more information on the solutions we offer, visit our Pump Rental pages.